We know that packing before a trip can be a hassle and can even become stressful. 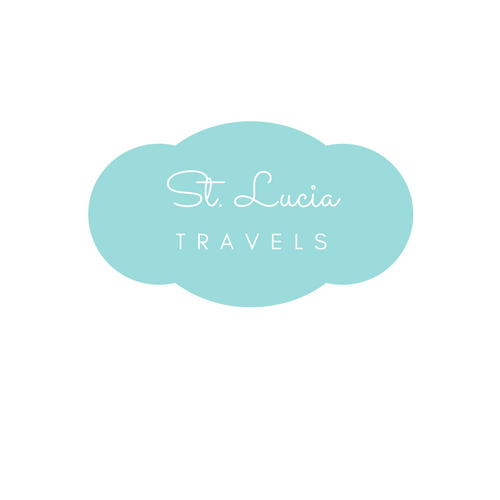 Here are a few things you should not forget before leaving for St Lucia. Like anywhere else you are traveling to in the world, you need your passport to travel to St. Lucia. Ensure you have this updated before leaving for St Lucia. You will also need your proof of return ticket as well as a government-issued identification. You also need to print off a copy of your hotel reservations as proof that you have somewhere to stay. Keep these documents with you as you travel through your hometown and St. Lucia as they may be needed at customs. Also always carry some cash apart from your credit cards. The currency for St. Lucia is the Eastern Caribbean dollar, but the do accepts US and Canadian currency. If you are taking any medication with you, please carry a doctor’s note stating what the medications are for in case customs ask for it. The temperature in St. Lucia can go as high as 29 degrees Celsius with a humidity of 40 degrees. This requires the need of sunscreen. Be prepared for the heat from the St. Lucian sun as they can leave a pretty nasty burn. Also because of the high heat, it often results in many bugs and mosquitos. Don’t forget your mosquito repellant to protect you from these pesky bugs especially if you plan on going into the rainforest. This is something that you don’t want to leave home without for your planned trip to St. Lucia. As you know St. Lucia is an island surrounded by beautiful blue waters, so most of your time will probably be spent in the water. You may want to bring along two or more swimsuits for your visit. Some other things not to forget before leaving for St Lucia is your sunhat, some flip-flops, and your sunglasses for the sun. Before leaving for St Lucia, the beautiful paradise island, make sure you have all your essential toiletries, as things can get a bit pricey on the island. Most likely your hotel will provide you with the day to day stuff like soaps and shampoo and conditioner, but it won’t hurt to bring along a small travel size case, just in case. Also be aware that St. Lucia’s electric current is 220 volts, so if you are planning on bringing any electronics, it would be safe to carry a universal adapter. The temperature in St. Lucia can get very hot, so apart from your swimwear, you will want to carry some very light clothing. Summer dresses, shorts, and capris are some examples that women can wear, and for the men, slacks, khakis, and jeans would be appropriate. Also bring comfortable shoes like sneakers and flats for women, as they go with almost anything. If you are staying at a hotel there are certain dress codes that need to be followed. Try not wearing your swimsuit away from the beach. Coastal areas of the island can get very breezy at night so bring along a light sweater or jacket. I know everyone takes pictures with their mobiles now, but could you imagine visiting this amazing island and not going with a proper camera. That would be nuts. You will want to remember the island’s sunset and its lush tropical landscape. Also if you plan on going snorkeling you would need your underwater camera to capture the beauty the ocean has to offer. Also, pack extra memory card because you will most likely run out of space on your camera. Although St. Lucia is usually always sunny, they do gets their bouts of rain here and there. Remember to bring a book or eBook for those rainy days, an umbrella or raincoat if you do decide to go out. For the early morning runners, don’t forget to bring your music player so you can enjoy your run along the beach. Another thing you should always carry is a first aid kit. You never know where you may get a cut bruise or scrape, so always be prepared. Don’t leave home without the essentials. Make a list of everything you need before you pack. Go down that list as you place everything into your luggage. Make sure your passport is valid, you got all the cash you need, and for the sake of your traveling companion, please, please don’t forget your toothbrush. Really hope you enjoy your stay on this paradise island and don’t forget to tell us all about it when you get back. We seriously want to hear from you.